This is really quick and simple to make with leftover cooked rice. In a large skillet saute the bell pepper, onion, garlic and serrano until soft. Stir in the water, tomato paste, achiote oil, and seasonings. 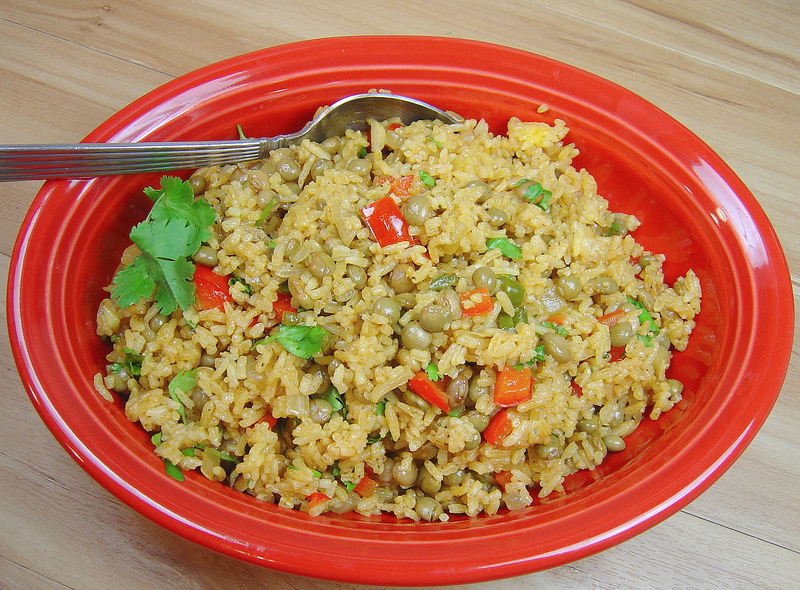 Mix in the pigeon peas with their liquid and the crumbled rice. Stir and cook until water evaporates and mixture is hot. Remove from heat and cover skillet; let it sit for 10-15 minutes to absorb some of the steam and get fluffier. Toss in the cilantro and fluff with a fork. I served this rice along with Jamaican Jerked Ribs. Delicioso!